The WORKS have already been done before the foundation of the earth, says the LORD. For before you call, I will answer. While you are yet speaking, I will hear. I know the end from the beginning, and that which you pray and believe Me for has already been done. For I not only know the way that you take, but I KNEW every step that you would take before you took your first one on earth. Trust in My all-seeing eye, that knows the future. I Am the ONE who has infinite understanding. I knew, know and understand ALL THINGS. The hidden things are not just those things that exist now, that you and others cannot see, but that which is to come. 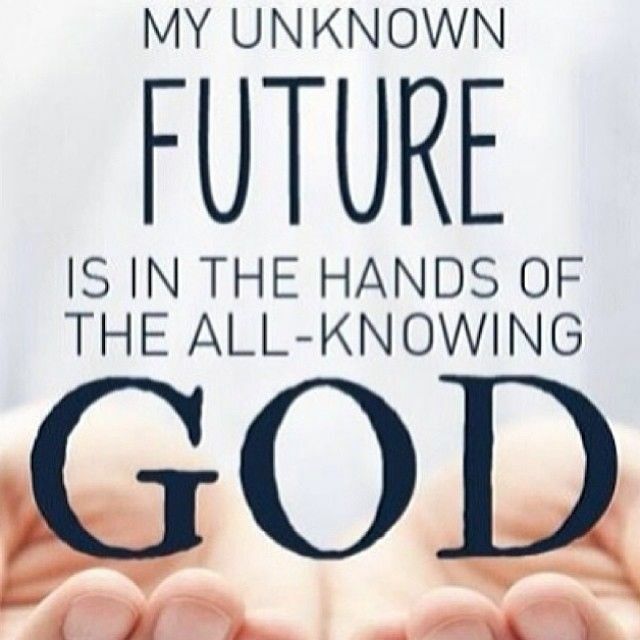 Do not despair of the unknown future that I already see and KNOW about and have prepared and planned and purposed for you. It is all in My hands that have created you for a purpose, says the LORD. I have prepared the way for you, says the LORD. I knew the enemy’s plans before he devises them, and already aborted them. Nothing takes Me by surprise. NOTHING! Nothing is hidden from Me, for I search all hearts and know every thought and intent of every one of them, always. Trust that I Am with you always, AM way ahead of you, and will lead and guide you with My eye. Do not lose sleep over what lies ahead, for I never slumber, nor sleep. I have it in My control, and those things that are being done in darkness are light to Me and cannot be hid from My All-seeing eyes. Be patient. Be restful. For you are safe and secure at all times, as you trust in Me, says the LORD. Safe and secure in the Arms of GOD!!! I trust in You My Lord!Amen! Thank YOU, Lord Jesus !!! Hallelujah and Amen !!! Your gift of INFINITE GRACE is beyond a value within our understanding !! !